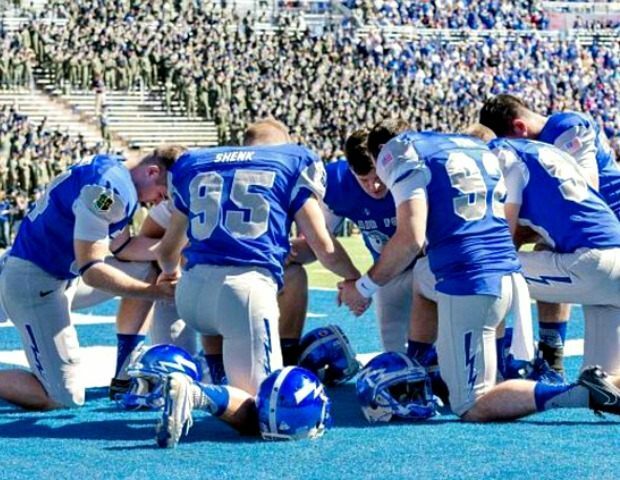 8 Dec 2015 Washington, D.C.
Based in Colorado Springs, the United States Air Force Academy’s football team, the Falcons, kneel in prayer together on the field at each game. They are in uniform when they do so, and can be seen by spectators. The Air Force this week promised to investigate these public prayers. 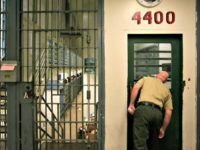 One news agency reports that Weinstein says this simple act of prayer could be used in anti-American propaganda by Islamic terrorists in ISIS and al-Qaeda, suggesting that the prayers could help provoke a terrorist attack on the United States and endanger the lives of American citizens. He argues here that the football players are being coerced to participate in the prayers in violation of the Constitution, and that the fact that the players are in football uniforms—which he says on game day is their military uniform—only enhances the prayers’ illegality. He alleges that the players are frightened to express their objections up the chain of command, fearing retribution.